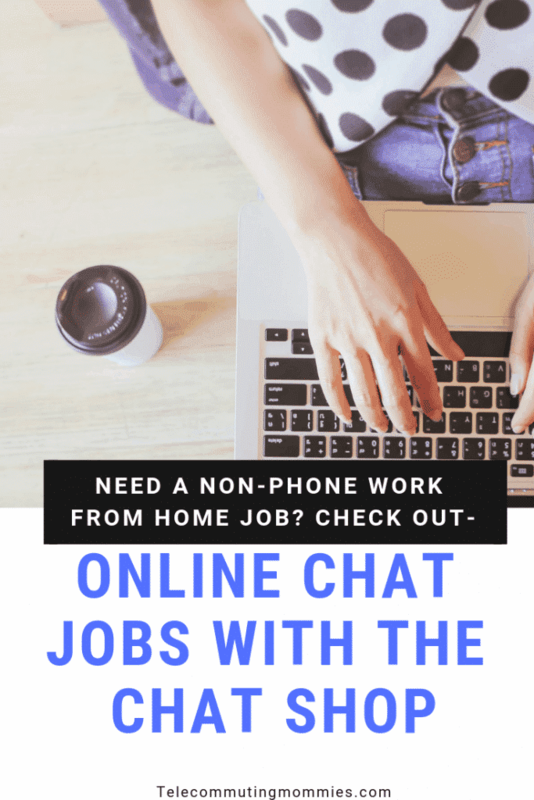 If you’re looking for chat operator jobs that you can do from home, The Chat Shop has the job opening that you’ve been seeking! You’ll love the flexibility, uniqueness, and training that this work at home position offers. Text chat operator jobs from home are a great option for those looking for a non-phone work from home job. How many times have you been on a website and had a question that you knew you just needed to ask someone right away? And nowadays, thanks to those “live chat” buttons that you can click, more times than not you can talk, or “chat” to a real live person right then and there on the spot. Pretty great, right? But what if you were the person on the other side of the screen answering questions and chatting to potential clients and customers? With the open chat operator jobs at The Chat Shop, that employment prospect could be in your very near future! Becoming a chat operator can be quite a fun gig. What other jobs out there offer you the ability to literally do something new and different for every person that you communicate with? There aren’t many that offer that sort of variance and fun! Chat operator jobs at The Chat Shop are different in the fact that The Chat Shop company works for a wide variety of clients. One moment you might be answering questions about a product, the next you may be talking to someone about a varying service. Being able to think quickly on your feet and interact well with the questions and customers is key! If you have those skills, you just may be perfect for the chat operator job! In addition to those skills above, remember that there also does come about a certain level of responsibility to be able to work from home. You need to be certain that you have a designated working space where you won’t be disturbed and also have a strong internet connection so you can be available to assist customers during the scheduled times of your shift. Since you won’t be verbally speaking with them over the phone, it’s essential that you are able to type quickly and efficiently to be able to get your point across to them in a quick and positive manner. Being a chat agent is a great job that you can do from the comfort of your own home. If you excel in providing amazing customer service, have a strong attention to detail and can manage multiple projects at once, these chat operator jobs should be on your radar. You’ll love having the flexibility to earn money from home while still being able to provide a service and give help to those customers and clients who need it most. Best of all? You’ll be employed by a company that is also known for its excellent training and support that they provide their employees! Interested in more of these types of jobs? Visit our post on text operator jobs from home.